Are organic foods all they're cracked up to be? We've been curious about how Americans view their food options. Concerns abouttoxins in some produce have led some people we know to go organic. But recent outbreaks of foodborne illness tied to organically grown sprouts in Europe underscore that an organic label isn't exactly a free pass to health. So in the latest NPR-Thomson Reuters Health Poll, we asked more than 3,000 adults across the country about their attitudes toward organic food. A solid majority — 58 percent — say they prefer to eat organic over non-organic food. Thirty-one percent favor non-organic food and 11 percent don't care one way or the other. But the fondness for organic food isn't universal. Older people don't care for it nearly as much as the rest of the population. 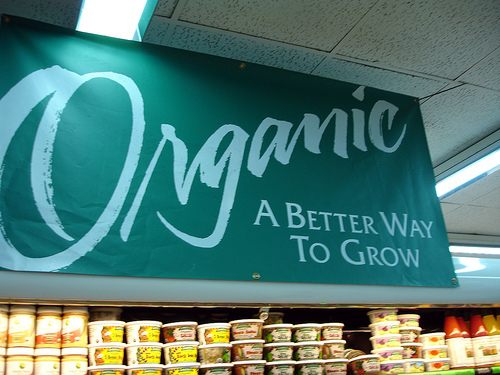 Among people 65 and older, 45 percent prefer organics, 38 percent like non-organics better and 17 percent don't care. The top reasons people prefer organics: 36 percent want to support local farmers and 34 percent are concerned about toxins, such as pesticides, in non-organic food. The worries about toxins are strongest among people with at least a college education. So, what about the people who prefer non-organic food? A majority — 54 percent — say organic food is too expensive. Harsh weather and strong demand for all kinds of food are pushing prices higher across the board, as NPR's Marilyn Geewax reported last month. Great post :) I read the rest of this. I can see points on both sides. BUT, there are just somethings I prefer to buy that are organic. It was a little scary about the sprouts though.. Thank you. I love sprouts on all my salads - am a little cautious now especially with my 6-year-old.